Listingby: Listing courtesy of Franklin REALTORS, Inc.
Home Description: RARE Montgomery Place Gem*Live Carefree*New 3/4" hwoods*Freshly painted 2017*Crown molding throughout*SS appliances*private fenced garden patio*36" cabinets*Open Kitchen & Den*Surround sound den*Large rooms*rare 4 bedrooms-2.5 baths*Upgrades galore*2 car garage*Frig-Washer dryer remain* HURRY! Owner Occupied 2 years-Then can rent out. Home Description: The Kristan TownCenterHomes are a Stunning retreat in Berry Farms with breathtaking views of the Franklin Hillside. Great layout, secured entry, elevators, walking distance to shops, restaurants and Publix!! Truly a rare find in Franklin! Home Description: Walk to Downtown Franklin. Jim Warren Park at end of the street; Mature trees & corner lot! Lush and relaxing outdoor living in back and rocking chair covered front porch; Bonus room doubles as 4th BR with own bath; fresh new paint; 2 car garage; separate staircase to bonus room; FP is wood-burning and has gas/logs. Newer HVAC and roof! Home Description: "Maple B" floor plan. Spacious great room down stairs with tray ceilings that opens to the Dining and Kitchen with Granite tops, Stainless Appliances Hard Wood Floors. 3 Bedrooms and 2 Full Baths upstairs. His and Hers walk-in closets in Master. Too many Upgrades to Mention! Home Description: GREAT HOUSE AT GREAT PRICE! Priced to sell fast. Well-maintained, move right in, needs nothing. Close to Cool Springs, downtown Franklin, and the new Lifetime. FEATURES: 4 Bedrooms, open layout, hardwoods, large shaded back yard, and tons of storage. Don't miss out on this gem! Home Description: Painted brick, 3/2.5 + Bonus, end unit townhome in sought after Lockwood Glen. Hardwoods on first floor and stairs. Granite counters in kitchen and baths, stainless kitchen appliances, microwave vented outside so could convert to hood vent. Tray ceiling in owner's suite with his and her closets. All appliances stay- just move in! Home Description: Back on Market! Incredible property for addition or a tear down for a new build. The home is within walking distance to absolutely everything downtown Franklin has to offer. The home has been remodeled the past 5 years and has a newer roof, HVAC and tankless water heater. The home is currently a short term vacation rental. Home Description: Move-in ready. Brand new granite countertops and updated cabinets! Fab Fieldstone Farms neighborhood with swim, tennis, fitness, clubhouse, walking paths. Beautiful floors! 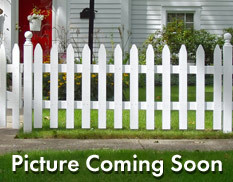 Beautiful back yard w/ privacy fence on corner lot. Bonus room can be 4th BR. Brand new range. You will not want to miss out on this property! Home Description: Home just appraised for $380K! Minutes from downtown Franklin. Meticulously clean and well cared for, 3BR/2BA single level home with bonus room over garage. Large walk-in attic, vaulted living room ceiling,recessed lighting. Fully fenced in backyard, which opens up to HUGE common space and no immediate neighbor behind you. Home Description: Absolutely stunning Berry Farms condo with views of the Franklin hillsides from your covered porch! Granite counters in kitchen and baths, subway tile backsplash, soft-close drawers, SS appliance package and gleaming hardwoods. This bldg includes secure entry, private elevator, and walking distance to shops, restaurants, & Publix! Also For Rent!! Home Description: PRIVATE END UNIT w/ GORGEOUS LAKE VIEW, 5 MIN FROM DOWNTOWN FRANKLIN OR I-65! MAIN LIVING AREA HAS HARDWOOD THRUOUT & TONS OF NATURAL LIGHT* STUNNING KITCHEN REN &lt;1 YR w/ GRANITE & GLASS TILE* SPACIOUS MASTER SUITE UP *GUEST, OFFICE OR REC ROOM w/ FULL BATH ON LOWER LEVEL* AWESOME OUTDOOR SPACE w/ LARGEST COVERED DECK IN THE COMPLEX! Home Description: Come enjoy the village feel of Berry Farms, Franklin's premier neighborhood! WALK to grab sushi at Umi, eat tacos at Tito's, or get your nails done! Enjoy morning coffee and evening wine on your spacious patio. Huge green space is across the street. 12 ft ceilings, granite, ss appliances, hardwood. Home Description: LOCATION,! LOCATION! Sought after Fieldstone Farms with pool, fitness center, playground & walking trails! Master down*freshly painted downstairs*vaulted ceiling & gas fireplace in living room*HVAC only 4 yrs old*Bonus room over 2-car garage*screened back porch*treed backyard with partial privacy fence*walk to Hunters Bend Elementary. Home Description: Charming 2-bdrm house in DOWNTOWN FRANKLIN. Great investment opportunity. 1 BR w/ separate entrance & full BA. Fenced back yard, covered porches and large storage shed. New kitchen floor and refrigerator. Great as existing home or new construction. Walk to downtown - what a beautiful life! Will be sold AS IS. Buyer to verify information. Home Description: Wow Beautiful Historic Downtown Franklin . Walk to main street.ONE LEVEL HOME Hardwoods and Tile. Newer Kitchen and Newer Master bath. Sun room . Beautiful Yard. Well Maintained home. Location . Convenient to Schools, coffee shops & shopping, dinning & theaters and much much more. This home requires flood insurance. Home Description: Fantastic floor plan w/ formal living area, hardwood throughout, and updated kitchen with marble counter tops. Vaulted ceiling in master bedroom & bath, huge rec room, and privacy fence back yard. Home Description: Great opportunity in a beautiful established neighborhood near downtown Franklin. Investors may want to keep it as a rental, renovate and flip or tear it down and build new as is being done next door. Nice level yard with a detached garage/storage building. Home Description: Sentrilock on Door. Contact CSS for showing. Home Description: A newly renovated hard-to-find one level home in desirable Maplewood Subdivision, with a level fenced-in backyard and a 2-car garage! Finished hardwoods in living area, kitchen has granite and lovely backsplash.